Atacama Cobalto Exploration Property. Photo by Surge Exploration. 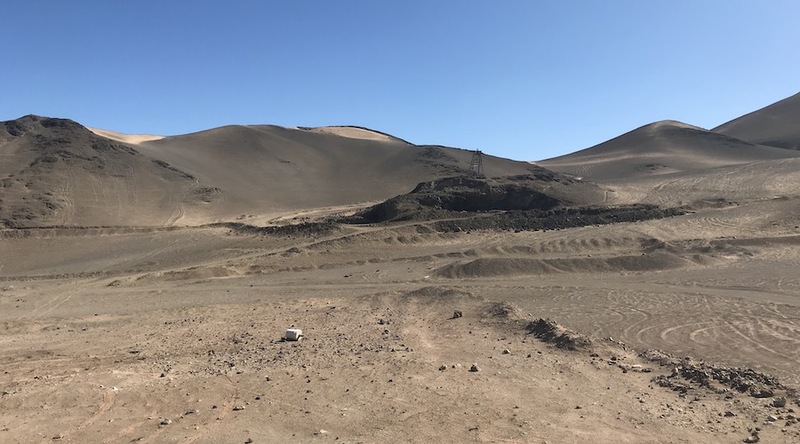 Surge Exploration (TSX‐V: SUR) announced today that it will acquire up to 100% of the Atacama Cobalto Exploration Property near Copiapó, northern Chile. Surge said that in order to complete the transaction, it will sign a formal agreement with Compañía Minera del Pacífico S.A. or CAP Mineria before the end of the month. The 1,059-hectares Atacama Cobalto Project is located in the Atacama Province in northern Chile, 15 kilometres northwest of Copiapó. The area also hosts several other mining companies and is situated near the mylonitic corridor that is part of the Atacama Fault System that hosts many of the IOCG deposits in northern Chile. The property was originally explored as an iron-ore mine prospect but it ended up showing cobalt potential with positive assay results. It has had 43 diamond drill holes completed to date by CAP. Now Surge plans to complete an NI 43-101 geological report, an initial 3D underground model based on past exploration programs and additional drilling and metallurgical tests. "Surge Exploration is excited to get board approval on this agreement and to begin the process of exploring in this historically IOCG and cobalt-rich area. We look forward to working with CAP Mineria to develop the Atacama Cobalto Project with a well-conceived exploration program for the benefit of our shareholders,” Tim Fernback, Surge President and CEO said in a media statement. The agreement between Surge and CAP has several phases, the first one allowing the former to acquire 51% of the mining concessions for a consideration in the amount of $3,000,000 and 1,000,000 shares, in addition to certain work commitments on the property. Once Surge fulfills Phase 1, a mining legal partnership will be created between Surge and CAP Mineria, in which the parties will participate with 51% of equity in the case of Surge, and with a 49% in the case of CAP Mineria. The terms will continue to evolve until the Canadian-based miner is able to acquire 100% of the property.